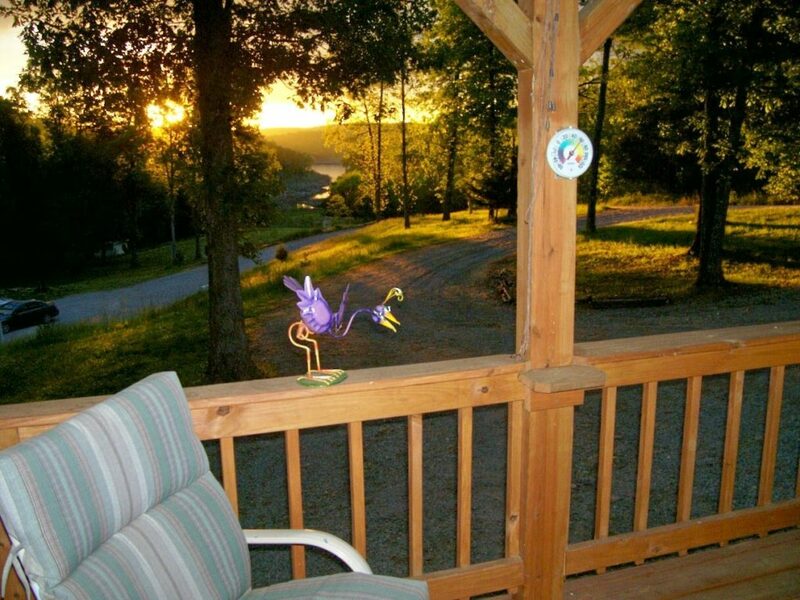 The Ozark Retreat sits on the edge of a quiet meadow which slopes gently down to Lake Norfork. 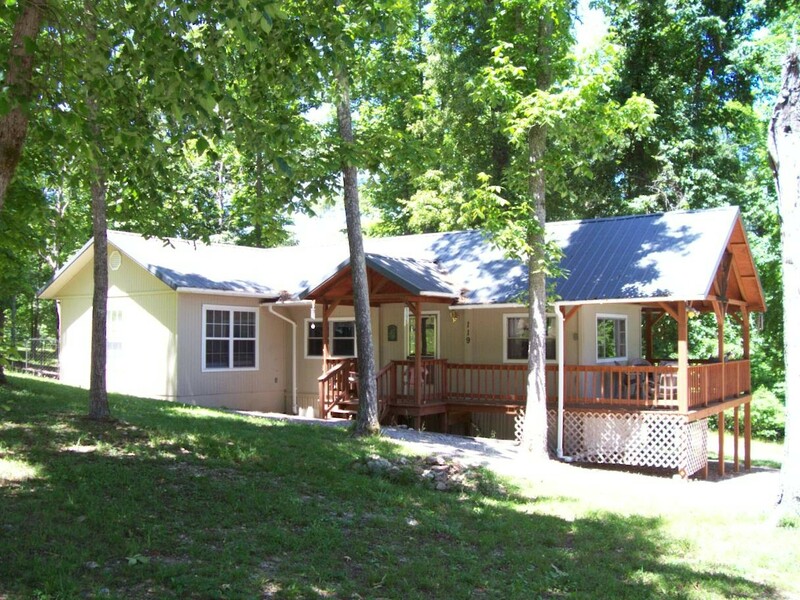 This 2 bedroom, 2 bath home sleeps up to 6 people and boasts a lovely view of a secluded Lake Norfork cove. 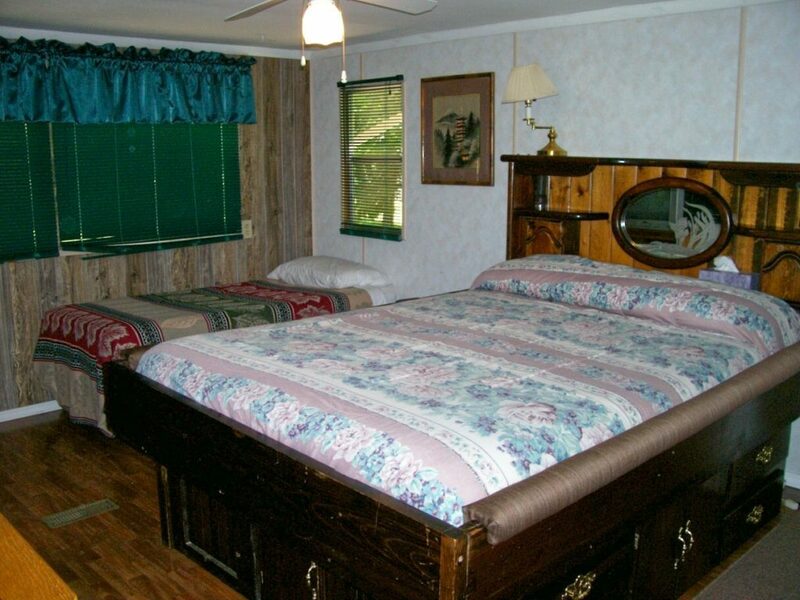 The Ozark Retreat has a comfortable feeling as soon as you step inside. Decorated with a country cottage theme, this home has several beautiful hand stitched artworks. The living room has a futon, a swivel rocker and a recliner. A sliding glass door takes you back out onto the wrap around deck or down to the large concrete patio to fire up the BBQ. Satellite TV with DVD/VCR plus a selection of movies are provided for some relaxing indoor time. Once you are rested up, take an easy walk down to the lake for some swimming or shore fishing. For an even bigger adventure, head just down the road to Fout Boat Dock and rent a pontoon or wave runner. 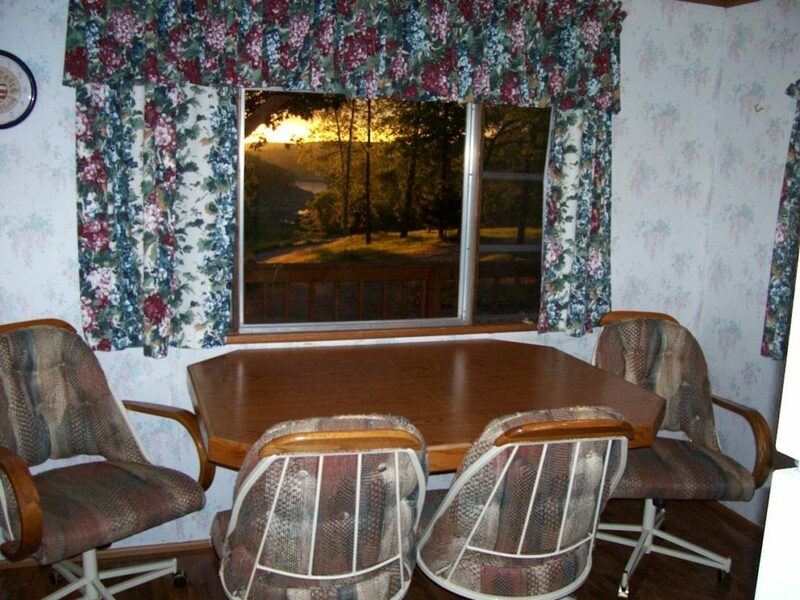 The Ozark Retreat has a nicely appointed kitchen with an attached lake view dining room. The kitchen is fully equipped with a refrigerator, electric range with oven, coffeemaker, microwave and toaster. A wide assortment of cookware, bake ware, serving bowls and utensils along with plenty of dinnerware make serving up to 6 people a pleasure. The dining room table will seat 4-6 people with additional seating available at the living room table. 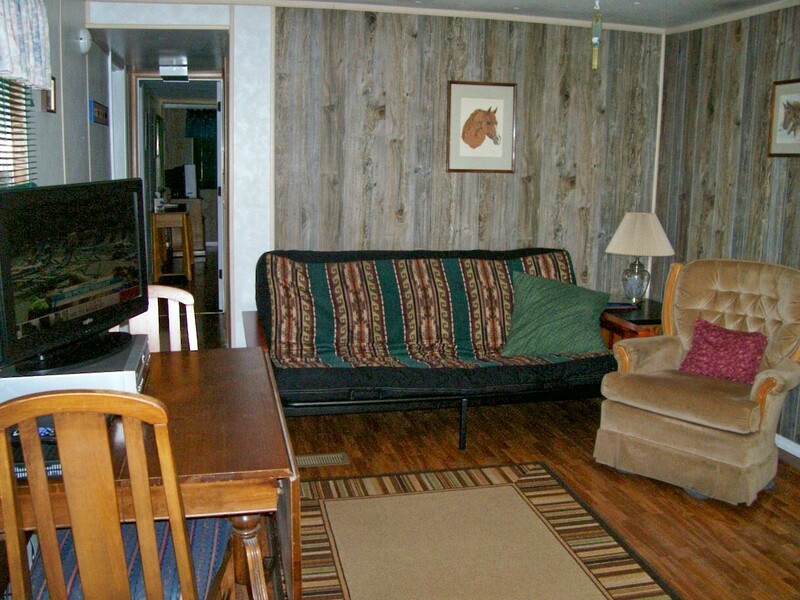 This 2 bedroom, 2 bath home has a large master suite with 1 king bed and a lake cove view. The second bedroom is a mini master with 1 queen bed, 1 singe bed and satellite TV. Both bedrooms have ceiling fans. The master bathroom has a full tub shower. The hall bath has a stall shower and a washer and dryer. All bedding and linens are provided along with extra pillows and blankets. The bathrooms have plenty of towels and are supplied with anti-bacterial hand soap and air freshener spray. Personal hygiene items and lake towels are not provided. The Ozark Retreat has a washer and dryer and detergents are provided. Free wireless internet is provided for your convenience. This home is non-smoking inside and strictly pet free. The Ozark Retreat is privately located about 50 yards away from the Heights Lodge. Large groups renting both homes can walk back and forth to visit on the footpath. 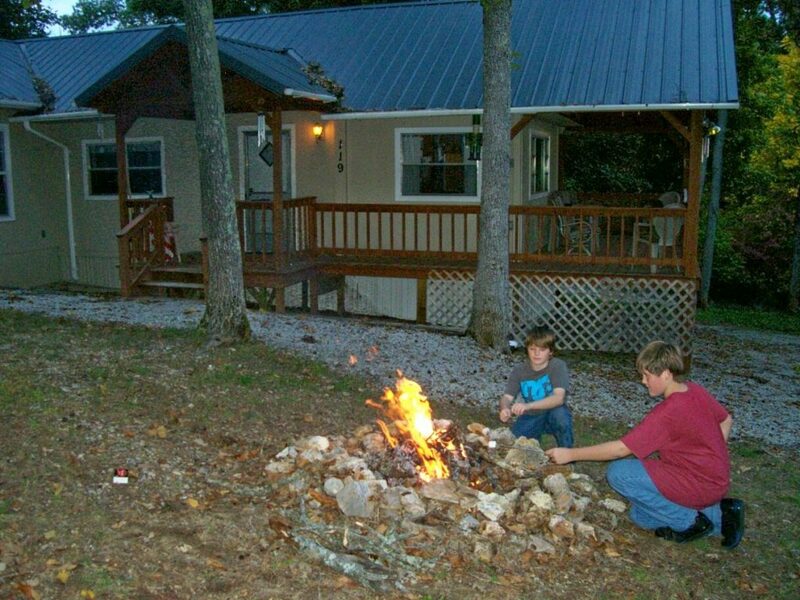 The Ozark Retreat has central heat and A/C, an extra large BBQ grill, and a campfire ring in the front yard. Enjoy a roaring campfire in the evening and toast up some marshmallows for the kids. 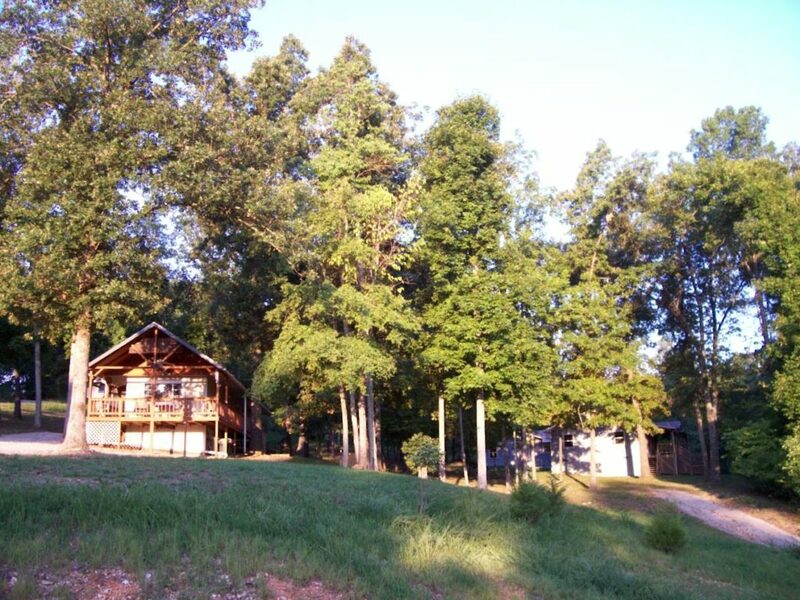 The Cove property slopes gently down to Norfork Lake. Walk or drive along side the meadows below the houses on the 1/4 mile long grassy lane leading to the lake. Here you will find a lovely cove that is rarely visited by anyone except our guests. Fish along the shore, swim, explore or even beach your pontoon. This cove is in the Bennett’s Point Wildlife Management Area and provides habitat to many Norfork Lake creatures such as bald eagles, deer, turkey and hawks.